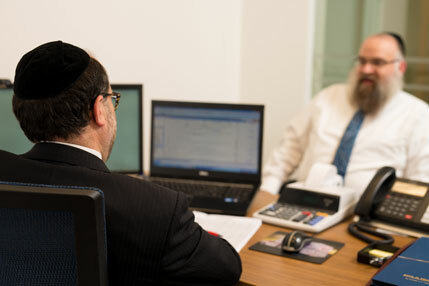 Intelligent Tax Planning & Preparation – Saul N. Friedman & Co. Virtually every business decision you make involves significant tax considerations. You work hard to build profits and you are entitled to an aggressive and prudent tax strategy designed to limit your tax liabilities and maximize your revenue. By planning for your taxes intelligently, you can net substantial savings and make things go smoothly and stress free. Our proactive tax planning approach is to be up to date, well in advance of year end closing, to ensure that there remains opportune time for you to implement a strategy that results in maximum tax savings. Most people approach taxes as something to put off thinking about until absolutely necessary. At Saul N. Friedman & Company, we review your financial data monthly and quarterly – not just at the year’s end – so that you can project and plan your finances accordingly. The field of tax law is particularly challenging, as it is continuously changing. We realize that your business deserves smart, flexible options that adapt to the evolving times, regulations, and your company’s growth. In order to be in the forefront of a continuously evolving tax code, we have a separate tax department that is primarily focused on new tax codes and regulations, and how they may affect you and your business. Our team of tax specialists is led by a tax attorney/CPA who has many years of large firm experience. As your trusted tax advisors, we provide mid-sized businesses with professional tax planning and services with our signature personal touch. Year-end planning that begins in November and December, before the end of the current year.